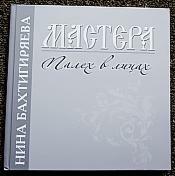 We offer a carefully selected variety of books about Russian Art as well as Russian Fairy Tales. If you are interested in learning more about either topic, we offer the followings suggestions. 11.75" x 8.25" x 0.50"
8.50" x 12.00" x 0.50"
10.50" x 8.00" x 0.50"
9.25" x 8.50" x 1.00"